The Vineyard of Gainesville is part of the Vineyard association of churches, a network of over 1,500 churches worldwide, committed to seeing each generation reached by the power of the Gospel. With a view to embrace integrity in Christian character along with the activity of the Holy Spirit, each Vineyard church seeks to be an outpost of God’s compassionate love in a broken world. That said, it can be hard to really nail down a characterization of what's Vineyard and what isn't. Though a young movement (birthed in the late 70s and 1980s), the Vineyard has had lots of influences. We're part pentecostal, part quaker, part charismatic, part evangelical....and we like it that way. What holds us together more than anything else, though, is wanting to hold in tension the biblical doctrines of the Christian faith with an ardent pursuit of the present day work of the Spirit of God. In short, just as in the past, we think God is active in the world today and looking to partner with people to bring heaven to earth. You can read more about Vineyard USA here. Mike and Amy Raburn joined the Gainesville Vineyard as Lead Pastors for the church in June 2017. They have been leaders in the Vineyard movement since 2003: teaching (adults, youth, and children), preaching, leading small groups, counseling, directing a food pantry, leading an elder board, pastoring, leading worship, weekly podcasting, running a day shelter for those experiencing homelessness, and creating content used by a number of churches. Michael is originally from Plant City, FL and is a Vineyard theologian with a PhD in theological ethics from Duke in 2013. He enjoys reading, writing, movies and visiting art museums. His calling in life is to deeply connect others to God. Amy is originally from the East Tennessee mountains and has homeschooled their 5 children for 13 years. She loves animals and gardening. Seeing people grow and flourish is her passion. Arty and Jackie Hart. Arty is a Gainesville native and UF grad. He and Jackie founded the Gainesville Vineyard together thirty years ago. He continues to have a vital role in leading our church as well as being a chaplain for Haven Hospice. Arty’s passion is “to see the lights come on for folks,” whether that means finding God’s love for the first time, discovering the person presence and power of the Holy Spirit, or moving into their unique calling as God’s beloved – made for a purpose. Jackie has been Arty's partner in ministry from the beginning and her fingerprints can be found all over the Vineyard of Gainesville. Jackie works as an administrator for Haven Hospice and oversees our Sunday ministry team. Jacob and Jackie Larson. Jacob serves as our Community Pastor where he oversees many of the church's regular activities. Jacob and Jackie love practicing radical hospitality for the people of Gainesville. Jacob also owns the Bull downtown where you can find him most Friday nights. Jackie helps manage The Bull and teaches dance. They have elementary-age girls. Brent and Valerie Henderson. Brent is our children's ministry director and coordinates the K-5th grade class, as well as serving on the preaching team. Brent works as a linguist and associate professor at UF and Valerie is a clinical pharmacist at the VA Hospital. He and his wife Valerie have two boys who keep them extremely busy! Jared and Rachel Hart. Jared serves as the Vineyard's worship leader. He and his wife Rachel (often playing guitar beside him on Sunday mornings!) have two girls that keep Rachel busy full time. Jared works in financial services. Bill and Leah Galione. 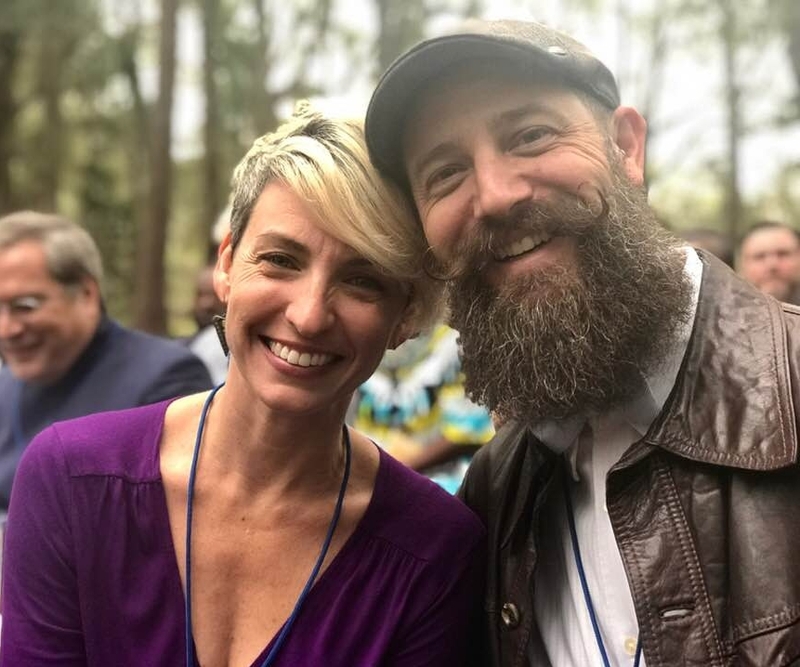 Bill and Leah have been a part of the Vineyard of Gainesville for 15 years and have served in various ways over that time, including college ministry, children's ministry, and the Sunday ministry team. Bill is founding partner of the Galione Law Firm and Leah teaches classes at Gainesville Health and Fitness in addition to being full-time mom to their five fantastic kids!